The most common reason someone could lose their right to possess, use, transport, or do anything else with a firearm is a felony conviction. Virginia Code § 18.2-308.2 sets out the laws regarding firearm possession, use, and handling for convicted felons. 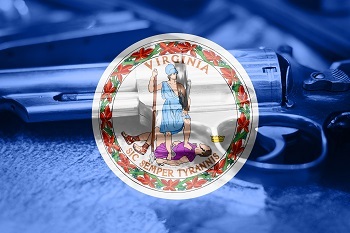 Despite having lax gun laws, Virginia imposes stiff punishments on individuals who lose their right to possess, use, or otherwise handle firearms. Doing a prohibited act as defined by Code § 18.2-308.2 is considered a class 6 felony. If a violator’s last felony conviction was within the last 10 years, he will receive a mandatory minimum prison sentence of two years. If someone violates this section and was previously convicted of a violent felony set out in Code § 17.1-805, then he faces a mandatory jail sentence of five years in prison. It does not matter if the felony conviction has anything to do with guns or violence. Any type of felony conviction is enough to disqualify a convicted felon from owning, using, or otherwise dealing with firearms. If you lose your rights due to a Virginia or other state-level conviction, however, you may be able to get them back. The information below does not apply to people who have been convicted of federal felonies. First of all, even if you’re a convicted felon, there are certain circumstances under which you may still be able to possess, use, or otherwise handle a firearm. In Code § 18.2-308.2(B) there are five exceptions to the general rule that one cannot possess, use, or otherwise handle a firearm after being convicted of a felony. Furthermore, in Code § 18.2-308.2(C2), convicted felons who are not convicted of certain violent felonies may possess, use, or otherwise handle antique firearms and black powder as defined in Code § 18.2-308.2:2(G). If, however, you want to get unrestricted firearm privileges after being convicted of a felony, you must go through several steps. First, you would need to have your civil rights restored by the governor of the state in which you were convicted. Each state has different procedures for civil rights restorations. Next, if the governor has restored your rights, then you may petition the Circuit Court for the area in which you live, if you live in Virginia, or the Circuit Court that last held proceedings concerning your most recent felony conviction, if you live outside of Virginia. The Circuit Court will then hold a hearing, and you must explain to the court why there is “good cause” to reinstate your ability to possess, use, or otherwise handle firearms. The court has wide discretion in determining whether good cause was shown, but it is not required to consider any specific criteria in reaching this decision. If the court agrees to grant you firearm-related privileges, it can impose various conditions related to gun possession, use, or handling. If you have been disqualified from gun ownership due to a felony conviction and wish to have those rights restored, contact us to see what can be done in your case.